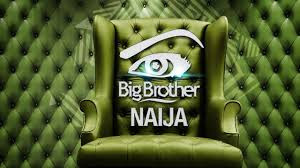 Auditions for the fourth season of the reality TV show, Big Brother Naija kicked off on Friday across the different states of the federation. A large number of people had turned out at the different venues for the auditions as early as midnight. Fans of the show had also taken to the social media to express amazement at the turnout of people. @chi_derah tweeted, ”the crowd is so massive. Abuja people are not here to play.” @tosinolugbenga tweeted, “no jobs, ASUU is on strike. BBNaija auditions got a high crowd at the venues as early as 4:45a.m. Apparently, some people slept at the venues.” @madukaegbuonu tweeted, “Lagos auditions happening now at 12:a.m. (midnight). We are happy to sacrifice our night sleep.” According to organisers of the show, the fourth edition would be holding in Nigeria after the general elections as opposed to it holding in South Africa. The last season of BBNAIJA tagged “Double Wahala” was won by 23-year-old Miracle Igbokwe.